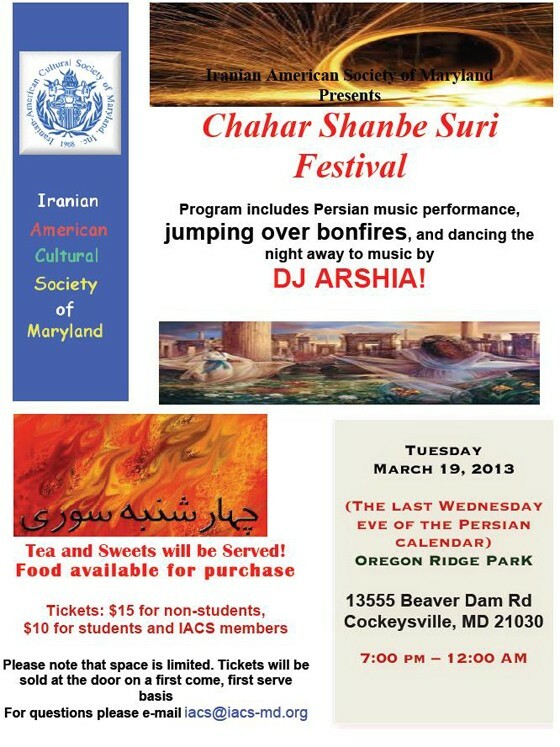 Program includes Persian music performances, jumping over bonefires, and dancing the night away to music by DJ Arsha. Please note that space is limited. Tickets will be sold at the door based on a first come, first serve basis.